"I think it's a symbol of what's positive," Lan Diep said, "in this darkened political landscape." Lan Diep, a Republican legal aid attorney, received cheers after he said "I do solemnly swear" when the clerk asked if he would defend his oath of office. His final vote of his first meeting? Joining the council in unanimously banning the communist Vietnamese flag from flying in San Jose. In an interview after the meeting, the proud comic book geek and Houston-born son of Vietnamese refugees said that Captain America stands for the "kinds of things I strive for: equal justice, fair play and democracy." Diep won a council seat on his second try, after losing in 2015, though the 2016 vote is still being contested. He's been recognized by presidents Barack Obama and George H. W. Bush, after moving to Mississippi to help people affected by the BP oil spill. Diep came to San Jose in 1999 and graduated from Independence High School, the University of California, San Diego and the University of the Pacific's McGeorge School of Law, according to his campaign website. Along with his legal work with the Mississippi Center for Justice, Diep has worked as an international broadcaster for Radio Free Asia and the Legal Aid Society in San Jose. Diep said he brought the iconic Captain America shield to his swearing-in because "I think it's a symbol of what's positive," he said, "in this darkened political landscape." He did not, however, bring the shield to specifically combat the new president, Donald Trump even though he said in his mind, "Trump is not a real Republican, and some might say that about me." 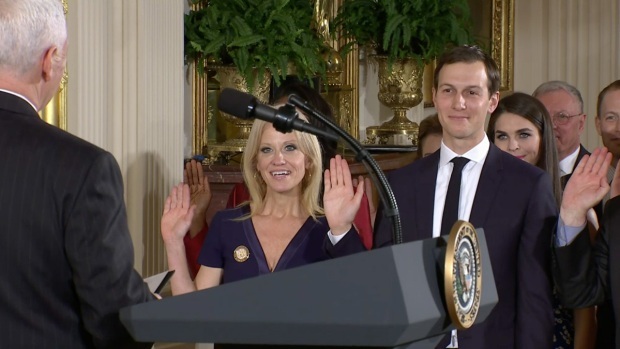 Appearing to look beyond his first term in office, at a swearing in ceremony at the White House for his senior staff, President Donald Trump told them they were going to do some great things over the next eight years. Trump paused after saying, "we are going to do some great things over the next eight years," to which the guests and staff applauded. "I wasn't trying to protest the president, but it's a reminder of what America aspires to be. In this administration, local government will have more of a role to play in taking care of its citizens," Diep said. "In that way, realizing that this is the landscape I'm stepping into, I wanted to shine a ray of optimism and levity." Diep said he wants to wait and see if Trump will actually hold true on many of his campaign promises, like banning Muslims from the U.S. and building a wall along the U.S.-Mexico border, before he passes judgment. In fact, Diep was out at San Jose's women's march on Saturday. He also attended Obama's farewell address in Chicago this month. Patients at Hasbro Children's Hospital in Providence, Rhode Island were treated to a surprise visit Tuesday afternoon. 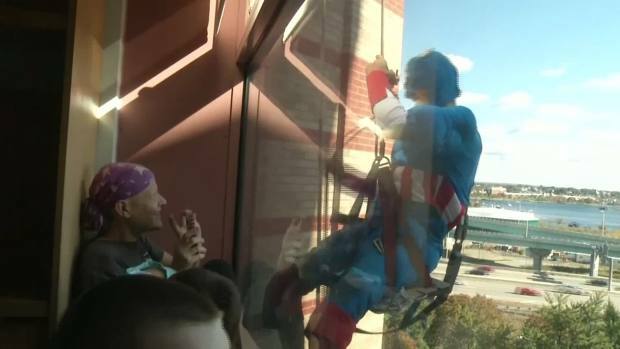 A team of window washers dressed up like Captain America, Batman and Spider-Man brought smiles to the faces of young patients. All three heroes scaled the hospital's exterior right outside patients' room windows. Others have also found the symbolism of Captain America especially poignant as Trump became a force in American politics. Vishavijit Singh, a Washington-born Sikh software engineer-turned-cartoonist, has been dressing as the cartoon character — complete with blue turban — for the last three or so years to fight racial stereotypes. Singh, a Democrat, went to Cleveland during the Republican National Convention, dressed in full costume, to continue battling the bigotry that many minority groups have felt with Trump's rise. And Singh was also behind the #SendSikhNotetoTrump during the campaign, NBC News reported. 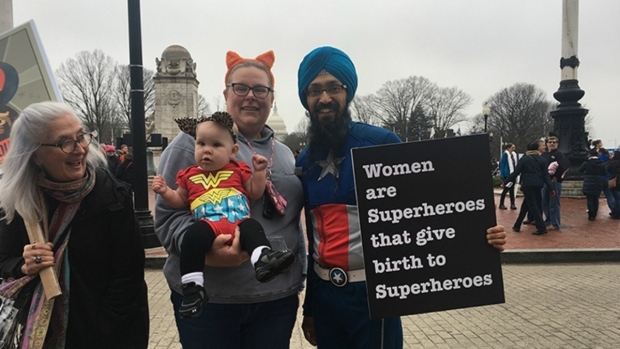 Vishavjit Singh, the "Sikh Captain America" stands with two women and a "Wonder Baby" at the Women's March in Washington, D.C. on Jan. 21, 2017. He wears the Captain American uniform to combat bigotry. 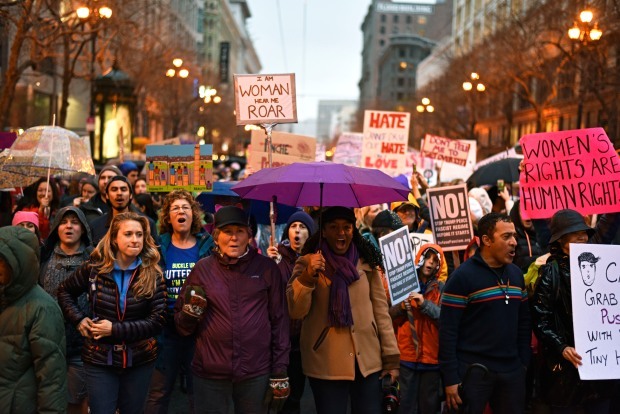 Most recently, Singh attended the Women's March in D.C., and told NBC Bay Area that he got "tons of love and support from women" and many asked him if he, a Sikh man, was safe. For him, the cartoon outfit has taken on "new urgency." He said he wants to build a bridge with those who supported Trump, because "it shows me the imperative that I have to step out even more," he said in a phone interview on Wednesday. As for what Diep is doing across the country in San Jose, Singh said it's OK that the councilman is a Republican and wasn't motivated necessarily to fight racism, perse. Diep and Singh had never heard of each other before Wednesday, and were motivated by their own individual pursuits. Still, Singh mused, the Marvel character is a unifying force of good: "Captain America cuts across the spectrum of all divides." Cont'd: Diep says he takes his job seriously, and himself less seriously. Likes comics. Wants people to be engaged in local government.